Enjoy your TV mounted flat to the wall, and turn and tilt it towards you for the perfect viewing angle. 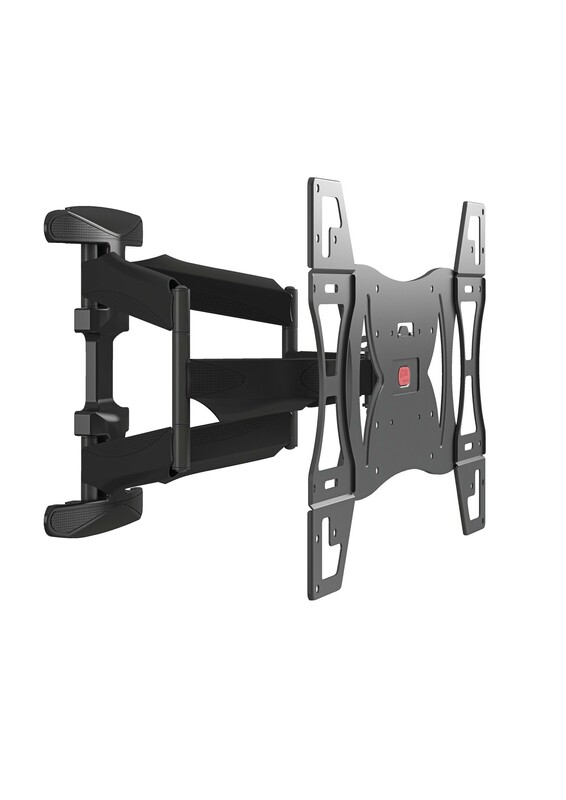 The TURN & TILT LARGE wall mount from Physix is suitable for TV’s from 40” to 65” weighing up to 45 kg. This universal support is suitable for almost all TV brands. It comes with easy mounting instructions, as well as all the screws and wall plugs you might need. The Turn functionality let’s you turn the screen left or right up to 60 degrees (depending on TV size) or tilt it 15 degrees, to ensure the perfect viewing angle from anywhere you want to watch. Enjoy your TV mounted (very) flat to the wall, and turn and tilt it towards you for the perfect viewing angle. 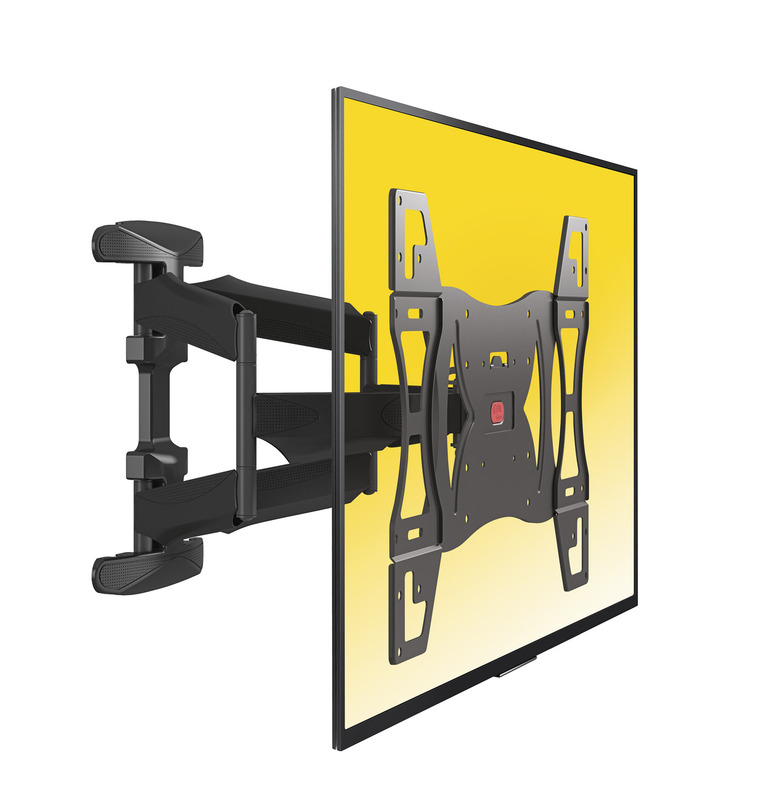 The TURN & TILT LARGE wall mount from Physix is suitable for TV’s from 40” to 65” weighing up to 45 kg. Hide and guide those ugly cables with the Physix Cable Strip. Easy to install, and it can be cut to your desired length. Mounting your TV flat to the wall looks fantastic, but where to put your other audio/video hardware (such as a DVD recorder for example)? The Physix Multi Support is the perfect solution. 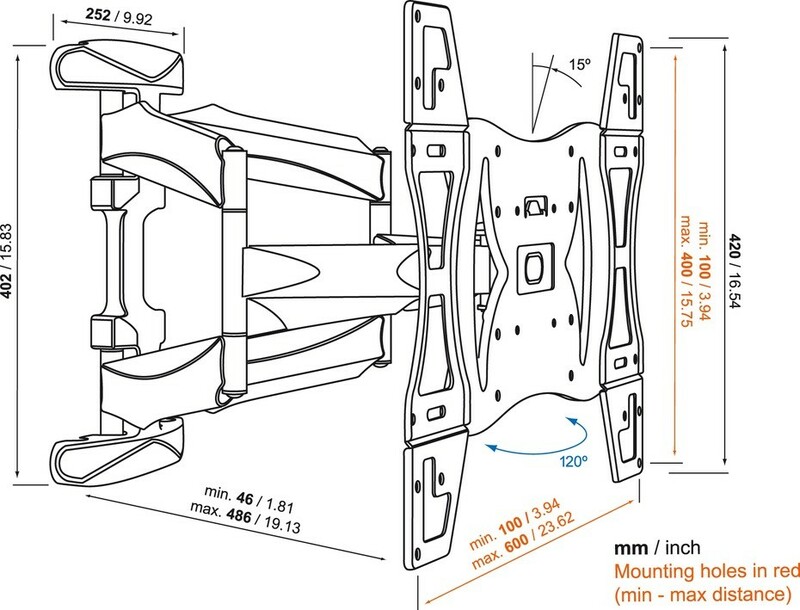 It also mounts to the wall and can carry up to 10 kg. Enjoy your LED/LCD TV mounted very flat to the wall, and turn and tilt it towards you for the perfect viewing angle. 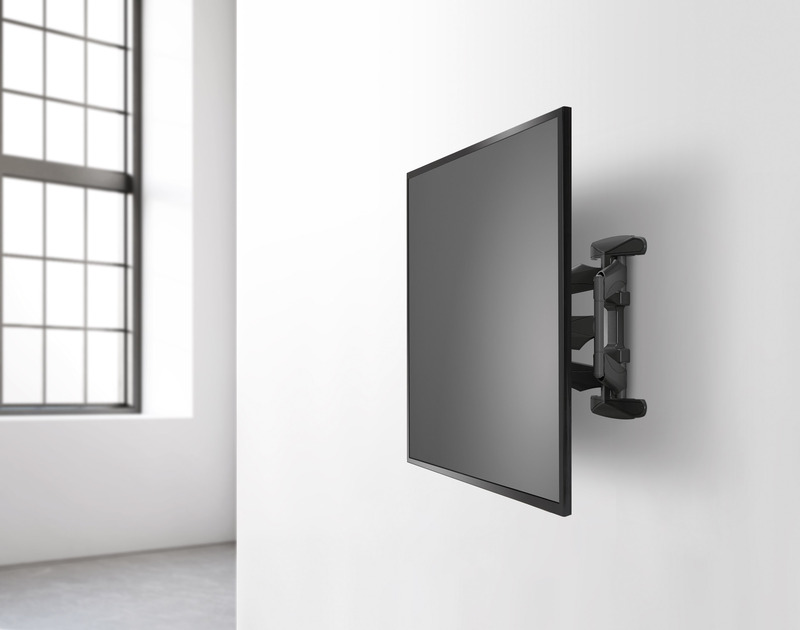 The TURN & TILT SMALL wall mount from Physix is suitable for TV’s from 19” to 40” weighing up to 20 kg. Enjoy your LED/LCD/Plasma TV mounted very flat to the wall, and turn and tilt it towards you for the perfect viewing angle. 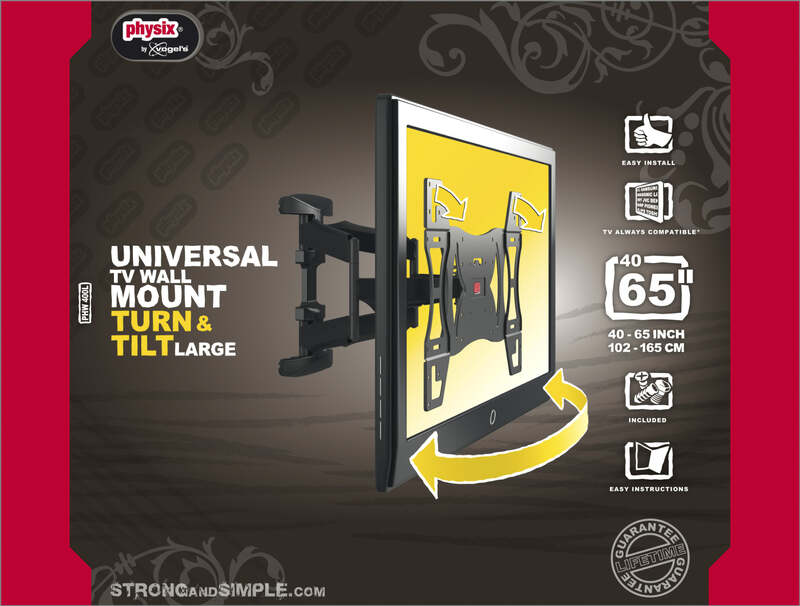 The TURN & TILT MEDIUM wall mount from Physix is suitable for TV’s from 32” to 55” weighing up to 30 kg.